Black and white photography by mates. 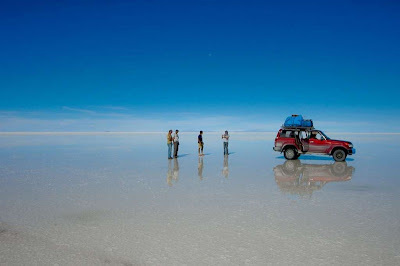 Black and white photography of people, still life's, architecture photography, figure studies more..
World's Largest Mirror In The Planet Salar de Tunupa is the world's largest salt flat at 10,582 km² (4,085 square miles). 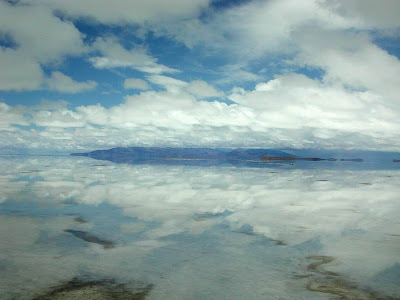 It is located in the Potosí and Oruro departments in southwest Bolivia, near the crest of the Andes, 3,650 meters high. 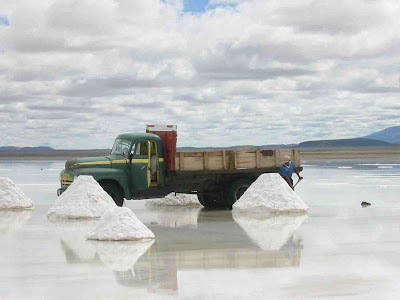 The major minerals found in the salar are halite and gypsum. 40,000 years ago, the area was part of Lake Minchin, a giant prehistoric lake. 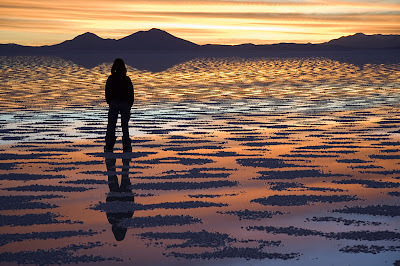 When the lake dried, it left behind two modern lakes, Poopó Lake and Uru Uru Lake, and two major salt deserts, Salar de Coipasa and the larger Uyuni. 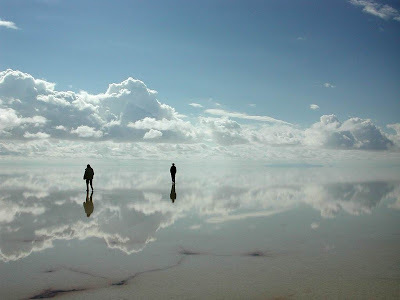 Uyuni is roughly 25 times the size of the Bonneville Salt Flats in the United States. 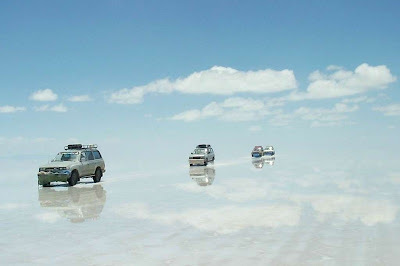 Salar de Uyuni is estimated to contain 10 billion tons of salt, of which less than 25,000 tons is extracted annually. All miners working in the Salar belong to Colchani's cooperative. Every November, Salar de Uyuni is also the breeding grounds for three species of South American flamingos: the Chilean, James's and Andean flamingos. 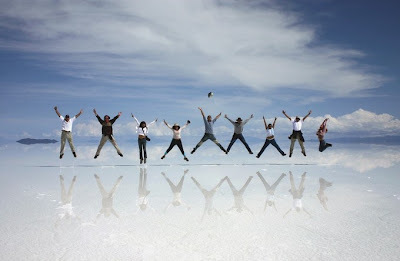 It is also a significant tourist destination; highlights include a salt hotel and several so-called islands. 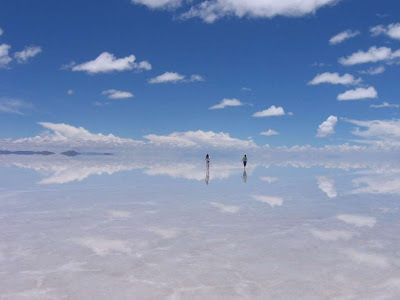 Also, Salar de Uyuni holds half of the world's reserves of lithium, a metal which is used in high energy density batteries ( Lithium battery). There is currently no mining plant at the site and the Bolivian government doesn't want to allow exploitation by foreign corporations, but instead it intends to build its own pilot plant. 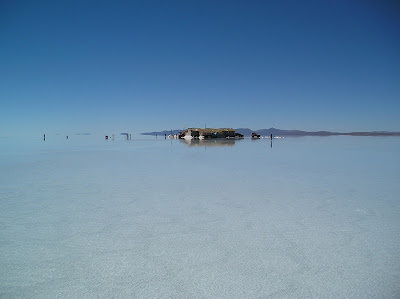 Due to its large size, smooth surface, high surface reflectivity when covered with shallow water, and minimal elevation deviation, Salar de Uyuni makes an ideal target for the testing and calibration of remote sensing instruments on orbiting satellites used to study the Earth. 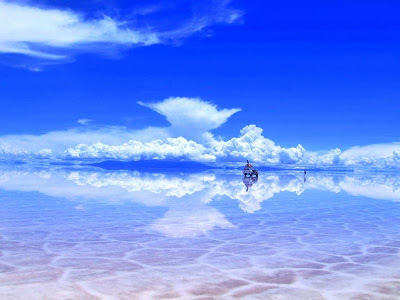 In addition to providing an excellent target surface the skies above Salar de Uyuni are so clear, and the air so dry, that the surface works up to five times better for satellite calibration than using the surface of the ocean.